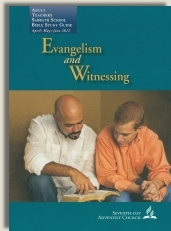 In this lesson we focus on learning from successes of evangelism. Adventism does not teach that God is sovereign over salvation. They believe that salvation is attained and maintained by man through God. They ultimately believe Jesus paid the down-payment for our sins at the cross; but man must finish paying the debt with His obedience to God’s Laws—most specifically the 4th commandment to keep the Seventh-day Sabbath. As we established earlier in the week, this is a false gospel. Salvation is a mystery. It is all God’s. Even our faith is a gift from God. Salvation is not a result of works so no one can boast (Eph. 2:8-9). And yet the gift of salvation demands a response of faith—do we accept Christ’s works in place of our own resulting in eternal life; or reject it and remain dead in our sins? Many men have argued election v. freewill. But neither side can deny that God alone is the author (initiates) and perfecter (justifies, sanctifies and glorifies) of faith (Heb. 12:2). He is the beginning and the end not just in regards to eternity, but also in each person’s intimate relationship with Him. In Adventism I was taught that the vine and branches in John 15 was about how to maintain our salvation. If we didn’t abide in Christ, we were cut off; meaning we lost our salvation. I now understand this passage quite differently. In this passage Jesus is teaching how we bear more fruit. The vinedresser (God) prunes the branches (a believer, v. 3). The dead parts are trimmed off leaving only the good parts containing life (attached to the vine) in order to bear more fruit (v. 5-6). The result of such a pruning is to produce much good fruit. Pruning is the sanctification process that begins after we have been justified or declared righteous through Christ. God, through the work of the Holy Spirit, prunes us, reshaping us to become more like Him. …”My father is glorified by this, that you bear much fruit, and so prove to be My disciples” (John 15:8). Ultimately we are to bear the fruit of agape love (John 15:12; Gal. 5:22-23). John 15 teaches how God empowers us to produce the fruit of the Spirit. Hebrews 12 teaches us how God enables us to yield holiness and the peaceful fruit of righteousness (verses 10-11). If Adventism wants to bring radical change to their evangelistic efforts, they must learn about and know the real Jesus of Scripture. 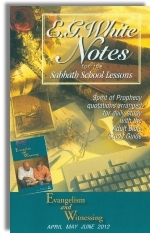 Their good news must be about Christ alone, not about Sabbath-keeping and works. God, through Christ alone, saves and keeps us saved. It is only this gospel message that can radically change lives unto salvation and the indwelling of the Holy Spirit. Only then can one bear the fruit of Christ’s righteousness. Success, particularly unto salvation and bearing good fruit (obeying the ultimate command to love, John 15:12), is all God’s so no man can boast. God is sovereign over all of our stages of salvation—He is the seed of truth, the root of our salvation and the bearer of good fruit in us and through us.